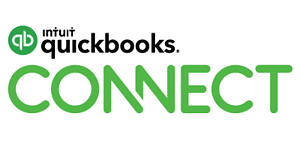 QuickBooks Connect seems to get bigger and bolder each year. As an app partner, the LivePlan team (and our Outpost team, for the first time!) attends with a focused goal: to reach as many customers as we can, face to face, to listen to the problems they are trying to solve and determine if we can help. We love that job! And QB Connect is special because it brings both small business clients and accountants together in one space. They support one another, and we get the opportunity to hear from a wide range of users. We also attend excited to hear from Intuit and thought leaders in the industry about what is relevant now. What are the messages? How are customers resonating with those messages? And how can we respond in kind? This year, our team was especially inspired. Intuit does a great job of infusing their passion and drive into the conference through main stage speakers, break out sessions, and even the hallways and break areas, where local vendors sell their creations and live music fills the air. As our team gathered together at the end of the conference for a celebratory cocktail, we debriefed and shared what we learned. We couldn’t all be everywhere, but our team did make a concerted effort to take in as much as possible. It was fun to share and discuss what we were most excited about, from software features, moments from break out sessions, and Intuit itself—the company. 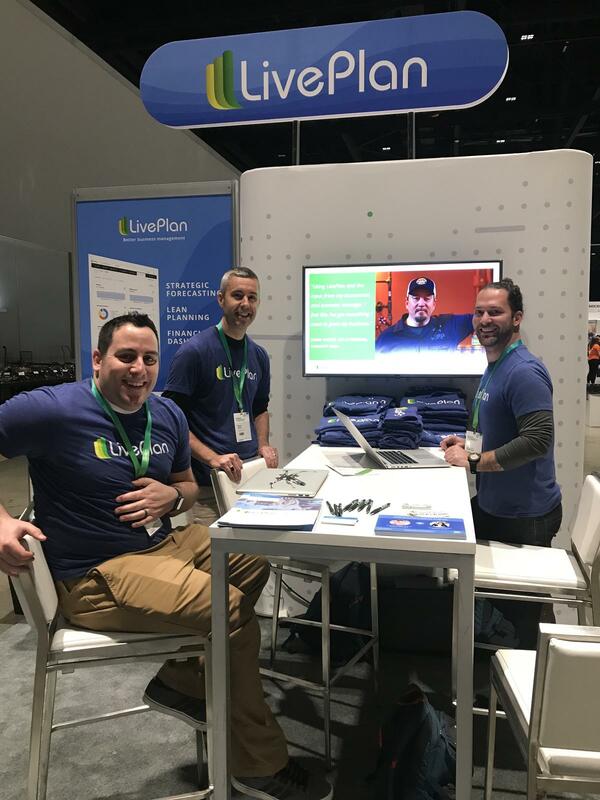 Because we know you couldn’t be everywhere either, we want to share with you our favorite takeaways from QuickBooks Connect 2018, and the things that inspired us. My personal favorite new QBO technology is the newly released projects feature. I attended the job costing session expertly given by MB Raimondi and was impressed by the full complement of job costing features being rolled out in QBO (currently only in Plus, Advanced, and Accountant), and the ability to track project profitability. The projects features are new, and I’m sure there’s still more work to do, but these were sorely needed and it’s wonderful to see it happen. My job costing-nerd soul was filled with happiness by the end of that session! LivePlan product manager Matt’s favorite new feature is the upgraded Practice Management features in the Work tab in QuickBooks Online Accountant, reviewed during the opening day mainstage by Ariege Misherghi, Intuit’s director of accountant business. Ariege was the first of many speakers to inspire from the main stage. She talked of shifting expectations by small business owners, and how accountants must respond with concrete guidance and targeted advice to help businesses grow. Ariege got the crowd especially excited during the review of the new client overview, when she talked about Intuit’s goal to reduce the time it takes accountants to onboard their clients from the current average of four hours to four minutes! An inspired goal, and proof that Intuit is dedicated to supporting accountants in delivering exceptional client advisory service. Ariege also spoke about the benefit of the QuickBooks Pro-Advisor program, and how Intuit is keenly aware that accountants are critical to the health of small businesses. Intuit wants to do everything it can to help small business clients find qualified accountants, because as Ariege said, “both Intuit and the accounting professional have the same objective—to power the prosperity of small businesses." This made our team especially happy because we are also committed to helping accountants and small businesses find each other. Our network of small business clients is vast, and many do not yet have an accountant or even accounting software. LivePlan’s Expert Advisor Program was designed specifically to help our small business clients find qualified advisory accountants, and we plan to amplify it during the 2019 calendar year. “If your life was a book, how would you write your story?" Far and away my favorite inspirational moment of QB Connect was Amy Purdy’s main stage talk. No longer will I feel sorry for myself when my body won’t perform in the exact ways I want it to, or even when a challenge I face seems difficult. I won’t forget Purdy’s humble message, woven throughout her incredible story of courage and comeback. Geni Whitehouse is always telling accountants to “be who you are, and lead from within.” She once again brought down the house in her Tin Man session. “If your client accepts your price right away, don’t celebrate. I want you to stop celebrating that! It means your price was too low." Mark Wickersham, a master mentor to accountants worldwide who I am fortunate to be working with in a 2019 training series on value pricing for advisory services, shared this insight. It’s so beautifully Mark: concrete and matter-of-fact! Paul Dunn, the master of change in the accounting industry, had many nuggets of wisdom, but this one stuck out in its simplicity. Debbie Kilshimer’s talk on building a million dollar firm was wonderful—full of advice and all the time quotable and hilarious. Here, she was explaining how intimate and fundamental the relationship is between the accountant and small business client. “Don’t talk accountant to your clients!" Debbie Kilshimer also delivered this gem! No more need be said—this quote speaks for itself and is profound in its simplicity. Hear, hear, Debbie!! “You can carbon date an accountant by how they talk about the Big 8, or the Big 6, or the Big 5, or the Big 4..."
“Are you going to make these changes when you get back home?" Paul Shrimpling, always a favorite, asked this of the accountants in his break out session. The room enthusiastically replied “yes” in unison. Paul: “I bet you won’t." It’s not often that you hear a speaker be completely candid, and push back a little. Paul set appropriate expectations that change is hard and slow, and when you encounter obstacles you’ll want to stop—but you should keep going. Mindy Kaling, from her lovely mainstage talk about perseverance. “Thanks again for showing me your product yesterday. I really like it. It allows me to work with my clients in a way that supports the way we run our business." A customer made our day with this statement at our LivePlan booth. It’s always wonderful to hear from satisfied customers. “You win minds one-to-many. You win hearts one-to-one." This post would not be complete without a mention of Intuit CEO Brad Smith’s inspiring main stage speech. Mr. Smith is stepping down after this year, and his heartfelt mainstage speech moved us all. It is clear that his passion is infused in Intuit in a way that is truly special. On day four of QBC (there was a day four for developers) we got the opportunity to spend the full day with Intuit Developer Group, hearing about their vision for a reimagined apps.com and having a chance to give them our feedback. Talking to Intuit employees during Developer Day, I heard over and over about the profound impact Brad Smith has on them. They are inspired by his leadership and passion. He motivates them to achieve more. And that “more” is seen in the amazing partnerships they nurture with accountants, app partners, and their customers at large. The most surprising part of the day was when Intuit gave all of us a chance to showcase our software to their employees. The session was two hours—and I was surprised at how interested Intuit employees were. They were truly engaged! They posed questions on every topic, from our customer experience to all manner of feature sets, integrations with QBO, how we can work together more strategically, and over and over, shock that we’ve been around for 30 years and our Bplans ecosystem of small businesses is so entrenched. (And that we started life in Palo Alto, CA). LivePlan is inspired by the future of the small business and accountants ecosystem. 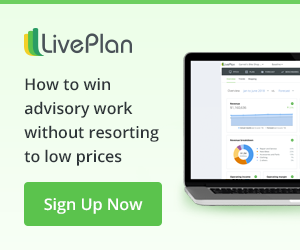 We know that accountants want to provide more to their clients, and we know that LivePlan and the Liveplan Method for Advisory Services can help them accomplish their goals. LivePlan’s mission is to help people succeed in business. Let’s do it together! If you found this article interesting, click here to share it!